When and how did Fidelity begin to use VR to train employees? When we think about Virtual Reality at Fidelity Labs we have a number of different use cases that we’re exploring. One of them is employee training. We started in June looking specifically looking at using virtual reality to train our contact center associates. This was a very collaborative project, especially with our Learning and Development group. Virtual reality has been used for the past 40 years for training, it was the preferred training method for when hundreds of thousands of dollars of equipment were at risk or lives were at stake, now that the hardware is more accessible and it’s easier to develop content in virtual reality for training, it’s made it easier for us to develop lots of different scenarios for training and development which is why we brought it in. We worked closely with the L&D group to create a really good use-case to pilot training our call center associates in virtual reality because they have expertise in the content that we need to train in addition to all of their other learning expertise. Why was VR such an attractive method? What benefit were you looking to bring in by using it? It’s one thing to do some training online and read about something. What we were hoping to be able to achieve with virtual reality, that would be hard to do with video or a text, is try to see if we can create a space for employees to try stuff out and actually get experiences as opposed to just sort of watching a video or answering some questions on a computer. We wanted to create a safe space to provide these experiences for our associates. You worked with STRIVR to develop the program? Could you describe some criteria that you used to help determine that they would be the best fit? They had experience creating some training materials for other companies along the lines of what we were looking to do. The use case that we wanted to be able to go after is, can we create an empathy training module for our call center associates and really have them understand and get some rational compassion for what our customers are going through? They had some connections with academic institutions and so on that had done some work in that space and that was one of the areas that was frankly very interesting to us. Could you talk a little bit about how Fidelity Labs works with the main business unit in general? And could you talk specifically about your relationship with learning and development? I lead the emerging technology group here within Fidelity Labs and our whole purpose is to build proofs of concept to help articulate the potential of some of these technologies to Fidelity and others in our industry. The whole reason why we exist is to build these proofs of concepts - try new things and roll up our sleeves. There’s one thing to read a paper about something, another to watch a video, it’s a completely different thing to actually try some of this stuff. That was really what we wanted to do. Virtual reality is actually a perfect case for this where it’s really hard to understand what the impact of virtual reality is on training by just reading about it – it’s a completely different thing when you actually try it to experience it. We worked with the L&D group and gave them some demos of what virtual reality can do in this particular industry and others. We thought it would be interesting to do an experiment in this space to see whether or not we could use this technology to train our associates. The idea was again to be able to try it. We tried the bias training from STRIVR, to see if we could possibly try it for our own use cases, and trying it made a huge difference when choosing a partner for this type of technology. I noted from your blog that you took the training on the road to get feedback. Could you talk a bit about the importance of including staff who will train with the program and how you’ll be developing further empathy building scenarios? We developed this program with the trainers and we brought in instructors, and potential trainees, to get feedback from the beginning even as we were storyboarding the training to really understand what they were going through and see whether we could develop an experience that would fit within their context. We included the consumers of this project right from the beginning and throughout the entire process of storyboarding all the way into the first testing. At Fidelity Labs we do a lot of design thinking so we’re very, very user-centric when we develop products here within Fidelity Labs. We’re constantly trying to get feedback as early and as often as possible when we’re developing products. What advantages do you predict VR will give your training program and how do you plan to assess your success. What is the next step after proof of concept? We are the lab and at one point the project will transition into the core business and they’ll run with it from there. But even for this experiment we were looking at customer satisfaction scores and things like that in order to see how this training impacted those customer satisfaction scores against a control group. We were really trying to run some experiments and numbers to understand the real impact of this technology. Can you talk about your findings? Was your program successful? Broadly, we are seeing definite positive impact for the experiments that we had but we’re still in the relatively small data area. I wouldn’t call it statistically significant findings yet but, but it is pointing towards some definite positive results. Have you considered using virtual reality as part of the customer contact center recruitment process? There are lots of different ways this program could expand. Not only evaluating associates but giving associates a really strong idea as to really truly what it’s like to work in some of these environments. Give them the ability to put on a headset - which is even what we did for this small training that we created. The first thing that you see as you put on the headset and look around is that you’re in a call center. It was filmed inside one of our call centers so you really get a good sense of what it’s like to be in that space and understand what the different distractions might be and everything that’s going on around you. That’s really setting the right expectations for people as to what the work environment will be like. Do you have any plans to develop any other VR training plans in the future? We’re going through the evaluation process right now. I think the odds are very high that we will be doing this, but we’re in the process of figuring out how to fully incorporate something like this into a broader L&D strategy. What advice could you give to companies looking to incorporate VR into their training mix? It is a little bit different from your traditional e-learning. You almost have to storyboard things and really understand that you’re creating experiences as opposed to creating content. There are a lot more things that you have to take into account when you’re creating an experience as opposed to creating content for someone to consume digitally. It’s new, it’s different, and so you have to think about it in a little bit of a different way. Top-performing organizations are five times more likely to have learning cultures, suggesting that a culture of learning is a key component of business success. “An organization’s ability to learn, and translate that learning into action rapidly, is the ultimate competitive advantage,” according to Jack Welch, former chairman and CEO of General Electric. What does that look like in action? 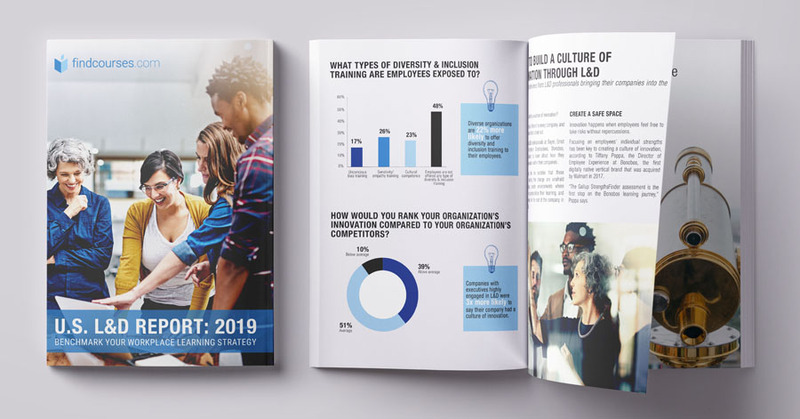 To find out, we’ve identified several L&D leaders who have worked to lead a holistic cultural shift in the communities of their organizations. 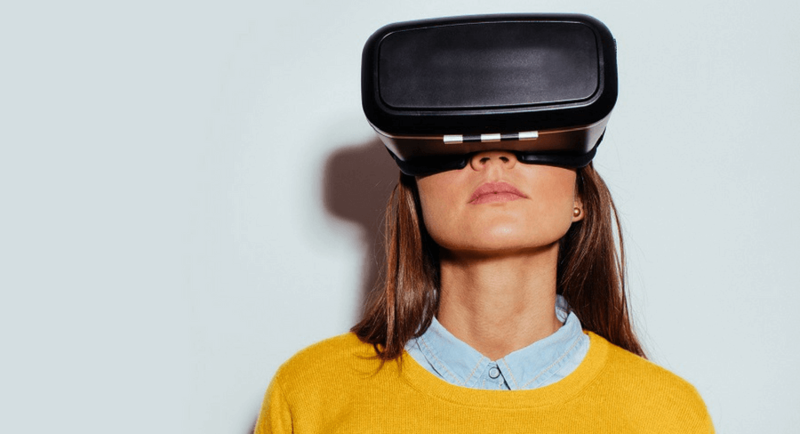 Once a curiosity occupying the edges of L&D conferences, virtual reality is stepping forward to take its place as a core training tool for departments daring enough to try it. No longer being used exclusively to train in the military, aviation, and heavy industries, VR training is being tested and deployed today by companies like Walmart, KFC, UPS, and McDonalds. Read about how companies are using VR to train employees today! Is Food Safety Training Important? Even though food safety training is recommended for all professionals working in the food industry, not all workers undergo training or acknowledge the importance. Find out if food safety training is important and why! Does one of your biggest challenges as a training supplier stem from flat organizational spend on external training? L&D professionals have cited a lack of budgetary resources as their top challenge in 2018. 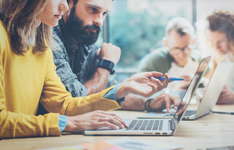 Read about findcourses.com’s survey of L&D departments in the U.S. and find out how you can overcome the squeeze to help your clients prove the ROI of L&D. If you're considering incorporating virtual reality into your training mix, read our interview with Helen Caughey, International Learning Consultant and Operational Meteorologist at the Met Office in the United Kingdom. She delves into why the Met Office began using virtual reality, how they're trying out the technology, and her advice for other learning professionals interested in VR.